The V-shaped profiles can be welded to different types of PVC belts. For inclined conveying of dry, wet, frozen, powder, granules, packed or unpacked products. DRAGO flexible wefts for troughed conveyors. High working and breaking load. 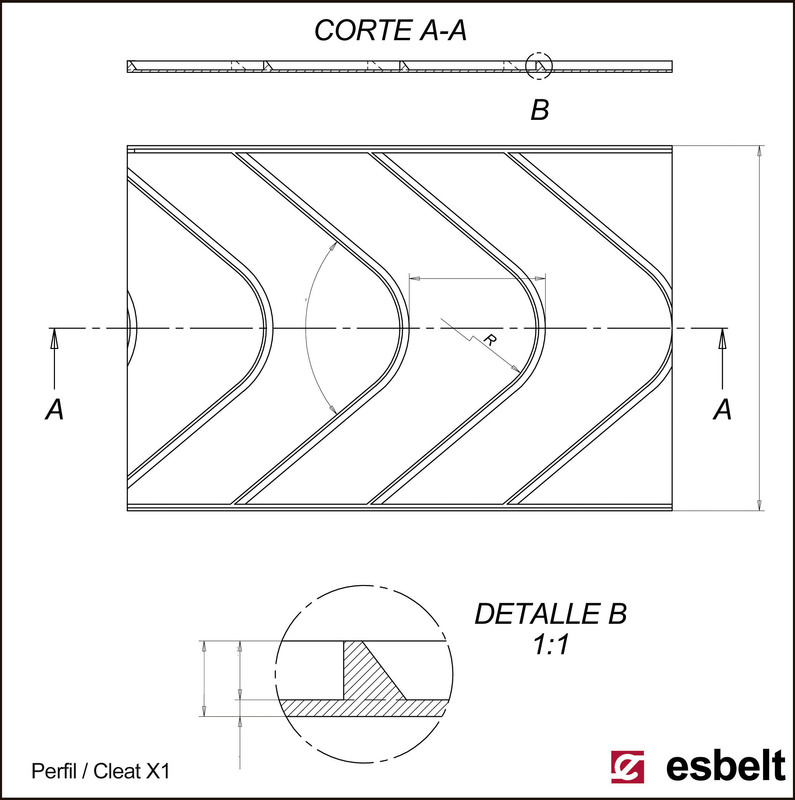 ESPOT flexible wefts for troughed conveyors. CLINA 17CF semi-rigid white belt for both flat beds and troughed conveyors. NOVAK 30CY rigid weft blue belt for flat beds. FDA and Regulation EU 10/2011 food quality. The chevron or V-shaped profiles are especially effective for the inclined conveying of products with irregular forms. 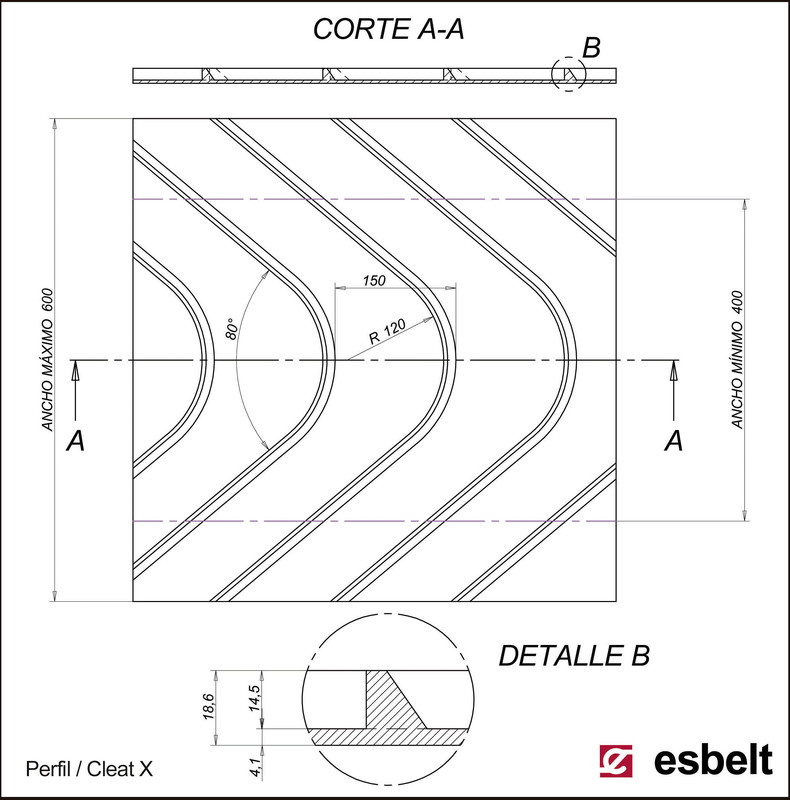 The uniquely shaped PVC profiles are made of the same material as the base belt and thus have the same characteristics. They are extremely strong and long-lasting. At the same time, they are flexible to work on small drums and are easy to clean.